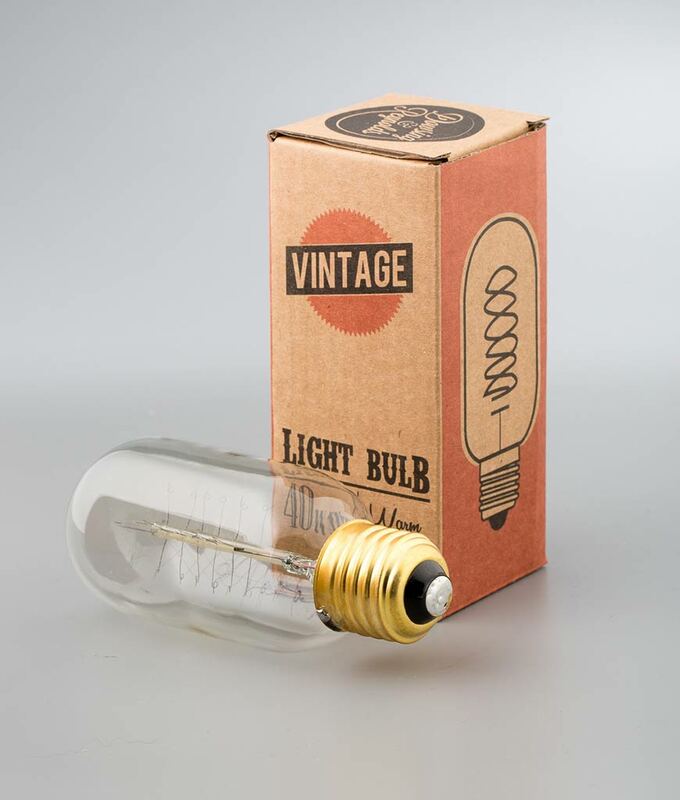 You can feel the quality of our radio valve spiral filament vintage light bulb the minute you handle it. It’s a different take on traditionally shaped Edison bulbs that’s just as beautiful… Probably the perfect complement to a minimalist industrial space – and this one won’t need replacing every other week because it’s ‘blown’. 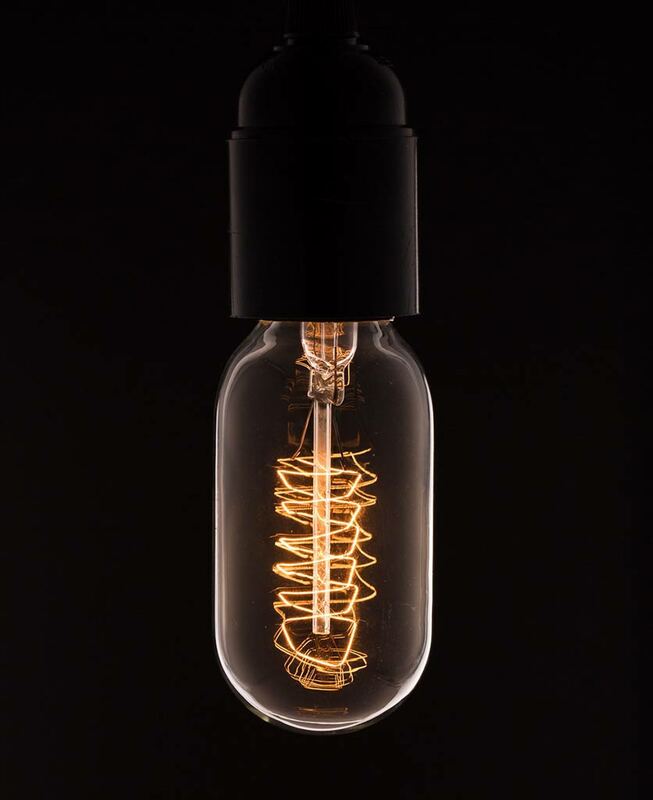 This minimalist radio valve spiral filament vintage light bulb is stunning to look at. The intricate shape of the filament, when lit, is beautiful. In fact, it seems a shame to hide it away under a lamp shade… However, these are perfect for use with our bulkhead lights. We love our radio valve bulbs styled in the simplest of fashions with a simple, sleek black Bakelite bulb holder and a length of fabric lighting cable. Jazz up your pendant light by using a patterned, metallic or coloured fabric cable. For bigger impact, hang a number of these together in a cluster using a multi-entry ceiling rose. However you style them, we recommend letting the filament be the star of the show. Radio valves are a great way to introduce a touch of industrial style to any space. Rustic in style the emit a beautiful warm glow that’s great for when you’re trying to relax. Choose from either E27 screw or B22 bayonet fittings. All our vintage bulbs come beautifully packaged in specially designed brown cardboard boxes.